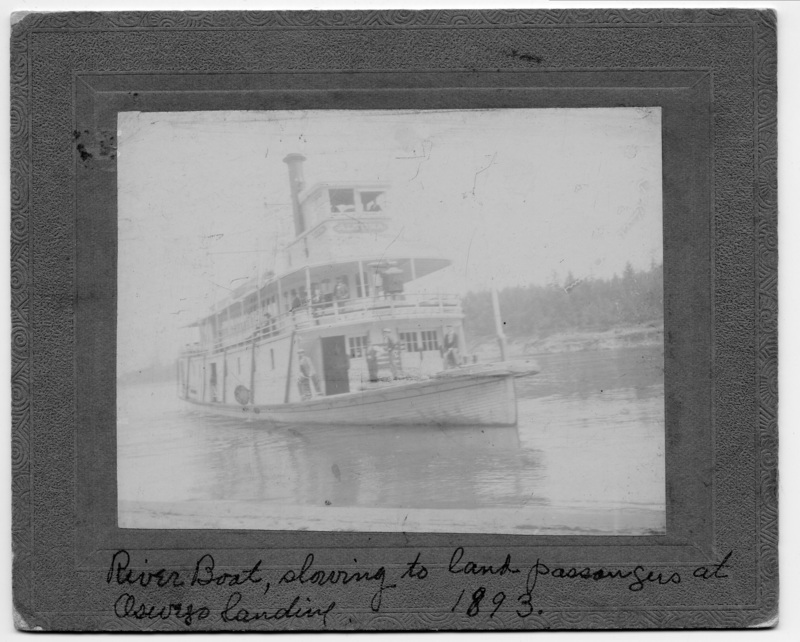 Description Scanned as B & W; Mounted on embossed cardboard; ink spots on mat; chipped corners; faded; scratches; yellowing; [writing on front]: River Boat, slowing to land passengers at Oswego Landing 1893. Photo 1535 is a copy of this photo. Physical Description H 4 3/8" x L 5 3/8"